If you’re discovering that your personal learning network is expanding wonderfully and unpredictably in an almost viny, plant-like manner, you’re already engaged in what Dave Cormier calls rhizomatic learning—a process of learning that mirrors the spreading of rhizomes so there is no center, just a wonderfully ever-expanding network of learning connections rooted in creation, collaboration, and the building of communities of learning. 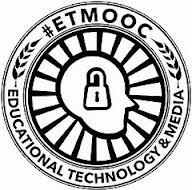 Cormier has done plenty to help trainer-teacher-learners understand and apply the rhizomatic learning model to our work through his 300-word introduction to the topic, a longer blog posting, a scholarly examination of the subject, and the presentation he recently facilitated as part of #etmooc—the Education Technology and Media MOOC (massive open online course)–organized by University of Regina professor of educational technology and media Alec Couros and several “co-conspirators.” And his work served as a wonderful conclusion to an exploration of connected learning, the first of the five #etmooc topics to be explored in the course. Highlighting a variety of large themes—including our perceptions regarding the purpose of learning—Cormier leads us to an idea of learning as “preparing for uncertainty.” He suggests that learning, at its broadest level, can be seen as an attempt to prepare learners for a world that doesn’t yet exist, as Michael Wesch and his students documented in their “A Vision of Students Today” video (2007). And we’re not just talking about learners in formal academic settings, either; those of us involved in workplace learning and performance (staff training) efforts face learners who are worried about their inability to keep up with the rate of change in their workplaces, the need to continually learn new technologies and software, and struggle with the evolving role of social media tools in their workplaces. The community can be the curriculum since members of the community help define what needs to be learned and also create learning objects—e.g., YouTube videos, blog posts, tweets, postings on Google+—that support learning through collaboration. The rhizome is a model for learning for uncertainty. Rhizomatic learning works in complex learning situations. We need to make students responsible for their own learning. Cormier, seeing MOOCs as a great medium for rhizomatic learning, offers five steps to succeeding in MOOCs (and, by extension, in rhizomatic learning): orienting yourself to the setting; clearing yourself so others can interact with you; networking; forming clusters with other learners, and focusing on the learning outcomes that are driving you to learn. “Think,” he suggests, “of the MOOC as a gathering place”—a concept much different than what comes to mind for the average person who has heard about MOOCs and other forms of online learning but has not yet had the experience of seeing how engaging, inspiring, and effective they can be. Couros himself, noting how much engagement there was in the live chat during Cormier’s presentation, suggested that participation in the rhizomatic learning session reflected our decision to “walk through the same door on the Internet so we could think together,” and Cormier responded by observing that what is created through this sort of interactive MOOC produces the equivalent of a networked textbook in that the content learners create together and share online becomes part of the learning community’s learning resources. “The most interesting stuff is what happens in the complex domain,” Cormier observed, and I’m looking forward to exploring more of that “interesting stuff” as our course moves into digital storytelling for the next two weeks. N.B. : This is the third in a series of posts responding to the assignments and explorations fostered through #etmooc. To move beyond the common practice of seeing e-learning as little more than a way to save money in workplace learning and performance (training) programs, we need go no further than Patti Shank’s “Getting Started with e-Learning 2.0,” a first-rate report published by the eLearning Guild in late 2010. Drawing from survey responses submitted by more than 850 Guild members—professionals working in e-learning—the report provides an intriguing snapshot of how social media tools are—or aren’t—being used in online learning and, more importantly, provides information about the “top five strategies that respondents feel they need for success with e-Learning 2.0 approaches”: “good content, upper management endorsement, user assistance, piloting, and testimonials” (p. 4). We know from the beginning of this Guild publication that we’re among colleagues interested in learning. In talking about the increasing tendency to incorporate social networking tools including wikis, blogs, Facebook, LinkedIn, Twitter, social bookmarking sites such as Delicious and Diigo, and others into online learning opportunities, the writer asks and answers a basic question—“Are these good learning opportunities? You betcha!” (p. 6)—and then delivers a cohesive and easy-to-follow summary of the eLearning Guild survey documentation supporting her conclusion. The good news for trainers, teachers, and learners is that “social media has become a very big deal” and that its use is continuing to increase rapidly (p. 8). The not-so-good news is that most respondents “don’t feel a great deal of pressure to implement these approaches” (p. 14) and “more than 25% of respondents are making only limited use of e-Learning 2.0 approaches or researching how other organizations are using it” (p. 4). This is hardly breaking news to those of us who enjoy and are involved in onsite and online education: there are still so many poorly organized and poorly presented workplace learning and performance offerings that it’s not surprising to find skeptical rather than enthusiastic presenters and learners. It also remains true that those trying their first webinar or online course are unlikely to give the medium a second chance if what they face is poorly designed PowerPoint presentations and sessions that lack the levels of engagement that lead to effective learning and the positive change that should follow. Shank provides concise descriptions and suggested applications for blogs, wikis, social bookmarking, and other aspects of social networking that are becoming part of our online learning toolkit. She also offers useful sections on learning benefits (the fact that learning is socially grounded, so social networking tools are a natural match for the learning process—p. 26), challenges (managers and supervisors who see social networking tools as detracting from rather than adding to the value of their training programs and overall ability to conduct business—pp. 26-30), and results (sharing ideas across departments, improving team collaboration, increasing creativity and problem-solving—p. 31). Three pages of online references and a two-page glossary round out this useful and learning-centric report, leaving us not only with encouragement about the positive impact e-learning is having, but also with sobering thoughts about how much more there is to accomplish before we have reached our—and its—full potential. We seem, in many ways, to be in a training-teaching-learning renaissance. The stunning burst of creativity among workplace learning and performance practitioners—what we colloquially and inadequately call “trainers”—is virtually nonstop, exhilarating, and just plain fun to watch. Experimentation with ways to deliver effective online learning is abundant, and Lori Reed, a close colleague and cherished co-writer who serves as Learning & Development Coordinator for Charlotte Mecklenburg Library (among other things), has just provided another wonderful example of where we might and should be going. Like Beth Harris and Steven Zucker at Smarthistory.org, Reed has started with a blog and innovatively manipulated it to create a visually attractive and dynamic website (“Destination Learning”) offering numerous learning opportunities which are available to us at the moment we need them and in a format which makes them incredibly easy to navigate. Those in search of other training-teaching-learning resources will find plenty on her Curriculum Vitae page, where links to published articles, educational presentations, and webinars are included among the standard background information about her own skills and expertise. “Hierarchical categories are grouped and indented under their parent category. “Reports are listed once only, under the category they are first shown. “A count (in brackets) is given of comments received against individual reports. We then find ourselves on familiar ground via an alphabetized index, by category, to every piece posted on the blog. If we are looking for articles about customer service, we easily find them grouped under that heading. The same is true for “instructional design,” “learning,” “learning 2.0,” “online learning,” and a variety of other topics. Simply clicking on any of those headings leads you to the titles of various articles she has written on those topics, and each title provides a direct link to the individual piece. What we have here, therefore, is the same sort of creative hybrid available on the Smart History website: a living, constantly evolving, and free-ranging combination of a traditional printed work on a broad topic; a wiki (via readers’ comments); a blog; and a knowledge management system providing learning opportunities at the moment of need. In other words, a masterful lesson by a master trainer on how to master the organization of information in a compelling and assessable fashion for all trainer-teacher-learners. Let’s see how long it takes the rest of us to catch up. Sometimes what we know may hurt us and those we want to help. Our expertise may actually work to our detriment, Frans Johansson writes in The Medici Effect: Breakthrough Insights at the Intersection of Ideas, Concepts, & Culture. The mental associations which we naturally make, he suggests, “inhibit our ability to think broadly. We do not question assumptions as readily; we jump to conclusions faster and create barriers to alternate ways of thinking about a particular situation” (Johansson, The Medici Effect, p. 40). We help ourselves and our students if, on a regular basis, we consciously work to break down these associative barriers—including our own assumptions of how easy a particular subject is to master. If we have, for example, learned how simple it is to use wikis, blogs, or RSS feeds, we also have to remember that there were moments when we struggled with these subjects. There is nothing quite like the experience of returning to a classroom or a workshop to remind ourselves how our students—and we—feel while learning something new. We might, for example, be sitting in a class and find ourselves annoyed by an instructor who is impatient or annoyed because we are not quickly grasping a concept which the instructor finds elementary. When this instructor makes the mistake of criticizing us for being slow, we snap in two ways: we remind the instructor that we are trying to learn, and, more importantly, we remind ourselves of how we hinder learning when we are insensitive to our learners’ struggles. Through this associative and empathetic process, we become better teacher-trainer-learners. Those whom we help become equally excited by the possibilities they might otherwise have ignored. And our entire community—onsite as well as online—becomes more vital than it was even a moment earlier. We learn. We grow. And everybody wins. This item was originally posted on November 6, 2007 on Infoblog at http://infoblog.infopeople.org.